The loss of one or more natural teeth can be a difficult event in a person’s life – not only is your confident appearance marred, but you may struggle to enjoy certain foods, maintain your oral health, and even chat with friends without worry and frustration. At Associates in Dental Health, we want to help you explore your options for reconstructive dentistry during an initial consultation. 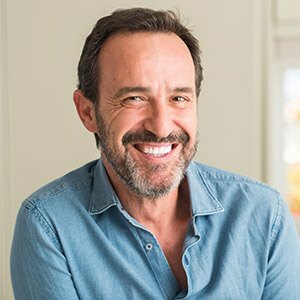 With over 30 years in business, our dentists are very familiar with these tough situations and can provide not only personalized guidance, but also lasting, reliable smile improvements that will be sure to exceed your expectations. Contact us today in Bradford, MA to get started. 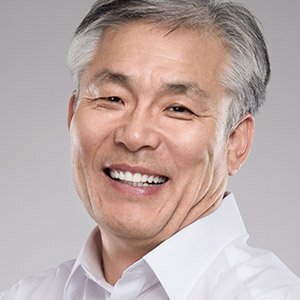 Associates in Dental Health for Replacing Missing Teeth? Doing nothing when a natural tooth is lost may be the path of least resistance – in fact, over 178 million people in the United States are currently missing at least one tooth. However, a long-term incomplete smile can result in potentially serious problems for the patient’s oral health, day-to-day quality of life, and sense of self-confidence. Bone loss is a common outcome, which often leads to the “hunched” facial appearance that many elderly people develop in later years. Additionally, tooth loss can also increase your risk of experiencing tooth decay and gum disease in other areas of the mouth, which is likely to lead to even more of your one-of-a-kind smile disappearing over time. 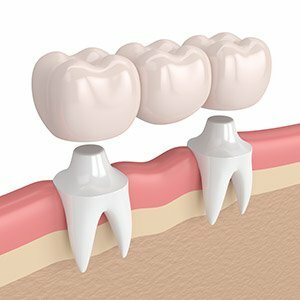 Dental bridges are named as such because they literally “bridge” the gap left by one or more missing teeth that used to appear consecutively. Traditional bridges are anchored in place within the mouth through the use of dental crowns which cover adjacent healthy teeth – this means that unlike dentures, bridges are a fixed, sturdy addition to your smile. Alternatively, state-of-the-art dental implants can be paired with bridges for a more secure and healthier result. At Associates in Dental Health, we highly recommend dental implants as the premier solution to tooth loss because of their state-of-the-art structure. Instead of only restoring the white crown that all of us are familiar with, implants start by recreating the root underneath the gum tissue to provide optimal function, stability, and preservation of healthy jawbone. As a result, your new “teeth” will not only look and feel completely natural, but they should also last for decades. We also utilize a state-of-the-art CT scanner to ensure that every surgical implant placement is precise, safe, and successful for the sake of our patients. By being able to capture three-dimensional X-rays with comprehensive detail, treatment planning is more confident than ever before.